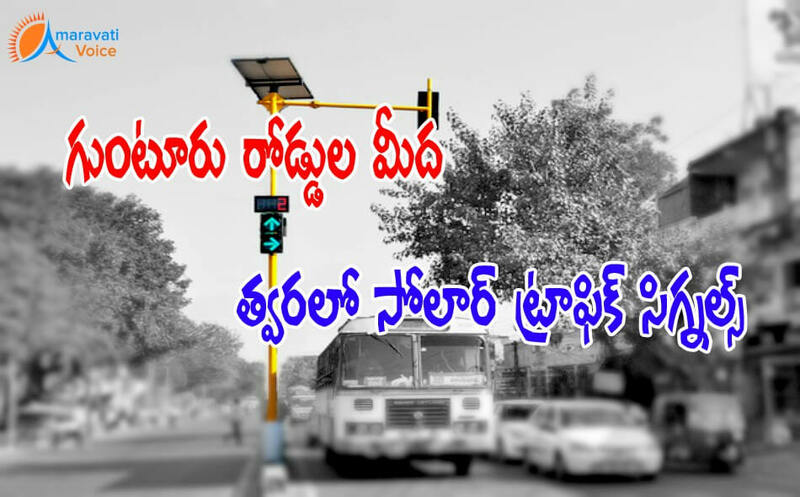 Guntur Municipal Corporation (GMC) is planning to set up automatic solar traffic signals in the city to regulate traffic. The GMC held a meeting with the Bharat Electronics LTD officials to setup the solar automatic traffic signals. The BEL representative, Narasimha Rao, explained how solar automatic traffic signals will work through the Power Point presentation. He explained that if solar system will get any problem, the traffic signals will work with battery and power also. He said they would setup closed circuit camera at each traffic signal to record photographs of vehicles violating traffic rules. Based on that, the police will take further action against the traffic violators, he added. He said that they would set up green corridor to pass ambulances, VVIPs vehicles and emergency vehicles. There is need of co-ordination among the officials of various departments, he said. The Commissioner, Nagalakshmi, instructed the officials to prepare DPR to setup solar automatic traffic signals in the city and take co-operation of traffic police to prepare DPR. Based on that, the GMC will take further action to set up traffic signals, she said.